The Aspiring Canadian Poets Contest was launched by Aspiring Canadian Writers Contests Inc. in 2012 in April (National Poetry Month). Judith Krause is our Contest Judge and Mentor in 2017! private online mentoring sessions with the contest judge. An interview with the first-prize winner will be published by the contest on its website, or an affiliated publication, or on Allyson Latta's website, "Memories into Story", www.allysonlatta.ca, recommended by The Writer magazine in the 125th-anniversary issue as one of "16 of Our Favorite Writing Blogs and Websites" (March 2012). Allyson has also served our contest's Editorial Consultant and published interviews of our contest winners from 2012 to 2015. To read our interview with our 2017 first-prize winner, Jill Reitman, click here. IN 2017, WE PUBLISHED OUR NEW GUIDE FOR ASPIRING WRITERS! See Prizes for more details. Visit Prizes & Winners for our announcement of contest winners from 2012 to 2017. In its inaugural year, 2012, Evelyn Lau served as Honorary Patron and poet Catherine Graham as judge. See Contest Judge for biographies of current and past judges. In 2014, we celebrated with a contest for unsigned Canadian singer-songwriters and announced our finalists and winners at www.songwritermentorexperience.org. In 2015, we also ran a contest for aspiring short film screenwriters . Please note that the contest will not run in calendar year 2019. We thank all entrants for their participation in previous years and we invite you to learn about our year-round online mentoring services offered at www.aspiringcanadianwriters.org. It contains hundreds of pages of interviews from acclaimed writers and mentors as well as self-authored essays from industry experts. 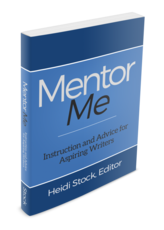 In each section there is also a concluding piece called "Mentor Me: An Inside View", which is an overview of the process of one-on-one mentoring sessions, including the "before and after", the first and final drafts of a poem, song, or screenplay.